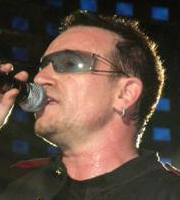 Paul David Hewson, better known as Bono, is the lead singer and song-writer for U2. The band has enjoyed a more than healthy and long-standing success, spanning the better part of three decades in no small part thanks to the lead singer's soulful voice. 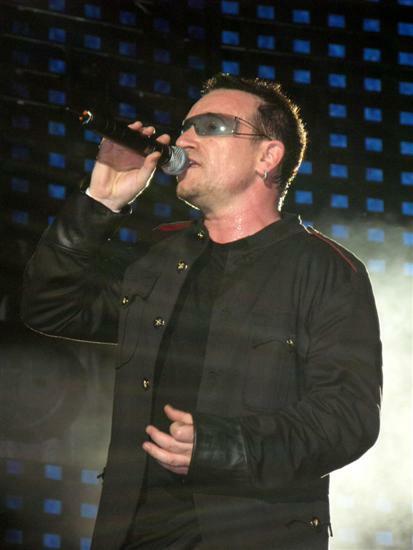 Bono however, is as much internationally acclaimed for his political activism and charity benefits, particularly with realtion to Africa's crisis, as he is for his music, earning himself a Nobel Peace Prize nomination.